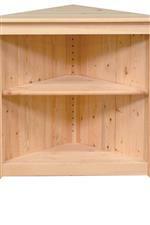 Place this pine, one door pantry in your kitchen for a little extra storage space. The piece is made right here in America from robust solid wood and comes in 13 custom Amish finishes, so finding a look that you love will be a breeze. Inside are four adjustable shelves so you can organize your storage however you see fit. 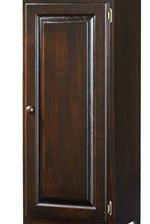 Finally, the raised, and removable, panel doors offer increased functionality while adding a little bit of style as well. The Pantries and Cabinets Pine 1 Door Pantry with 4 Adjustable Shelves by Archbold Furniture at Darvin Furniture in the Orland Park, Chicago, IL area. Product availability may vary. Contact us for the most current availability on this product. Furnish your home with beautiful, natural storage options with this collection. The featured pantries and cabinets are made for the long run, constructed from robust solid wood right here in America and coming in 13 custom Amish finishes, so you're sure to find that personalized look you love. Each piece features adjustable shelving so you can organize your storage however you need to. The rustic, cottage look you'll be creating with this collection will make your home one to cherish for many years to come. The Pantries and Cabinets collection is a great option if you are looking for Cottage furniture in the Orland Park, Chicago, IL area. 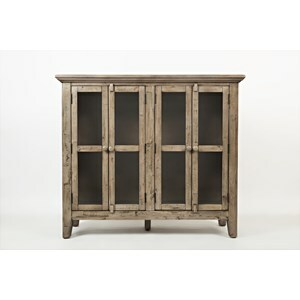 Browse other items in the Pantries and Cabinets collection from Darvin Furniture in the Orland Park, Chicago, IL area.